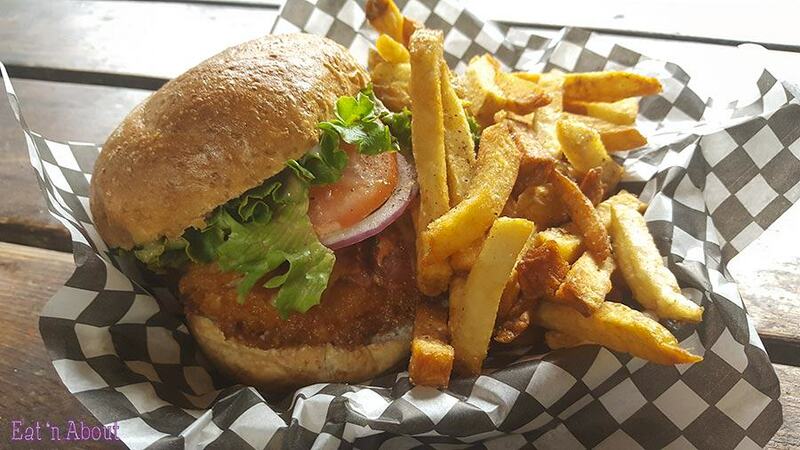 This is Part 1 of our Vancouver Island Food Adventures! Check out the rest! It was pretty awesome to watch the sunrise over the distance across the water from the ferry. I was knocked out by a gravol on the drive from the terminal to Ucluelet/Tofino, which took about 2.5 hours. We were pretty hungry by the time we got there so our first thing was to look for food! Many of the restaurant and eateries within downtown Tofino were either closed for the season or not open until 5pm, so we had to look elsewhere. 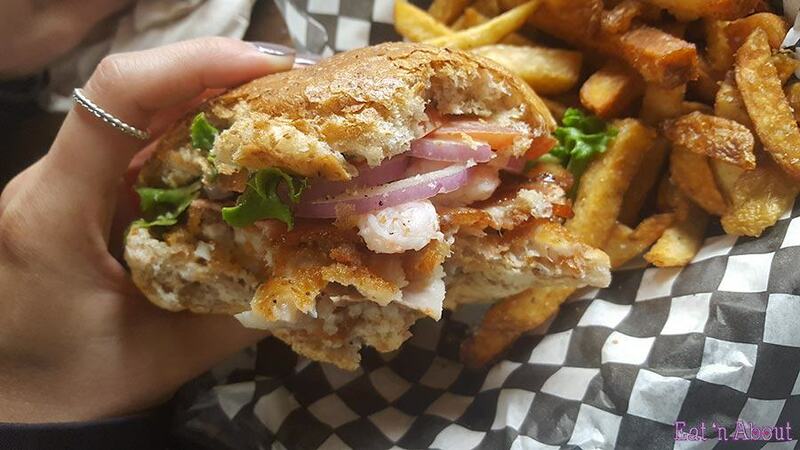 We ended up at Wildside Grill and decided to get a Cod Club Sandwich ($15) to share. The wait was pretty long and it was raining, but there’s a cute covered hut right beside it with seating, plus Chocolate Tofino is right beside them too, so we enjoyed a hot chocolate elixir while we waited. When we finally got our sandwich, it was glorious. The bun was crispy on the outside and filled with stuff. The cod was crispy and flaky and moist and tender. The shrimps were small and there was plenty of it. I couldn’t taste the bacon though. The fries were nice and crisp and yummy too. We really enjoyed our shared bites here and will probably be back next time we’re in town.